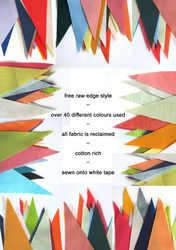 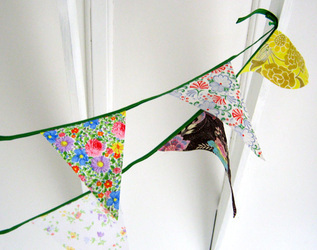 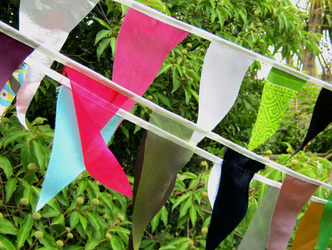 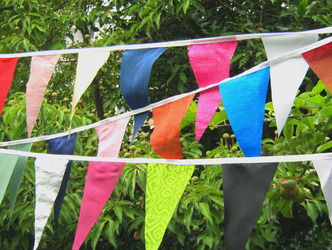 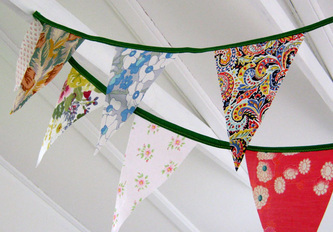 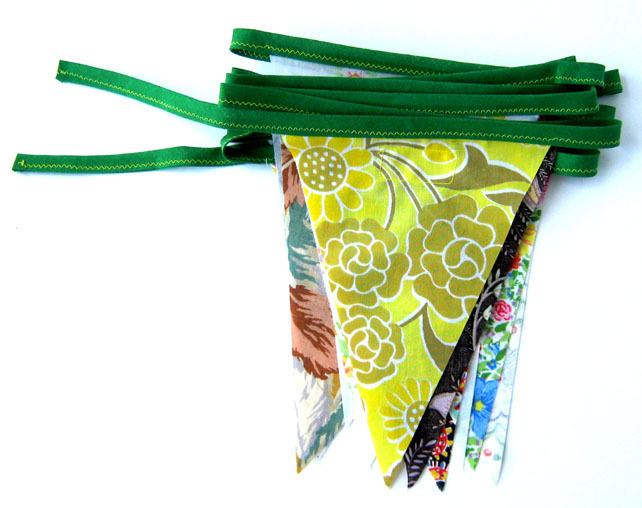 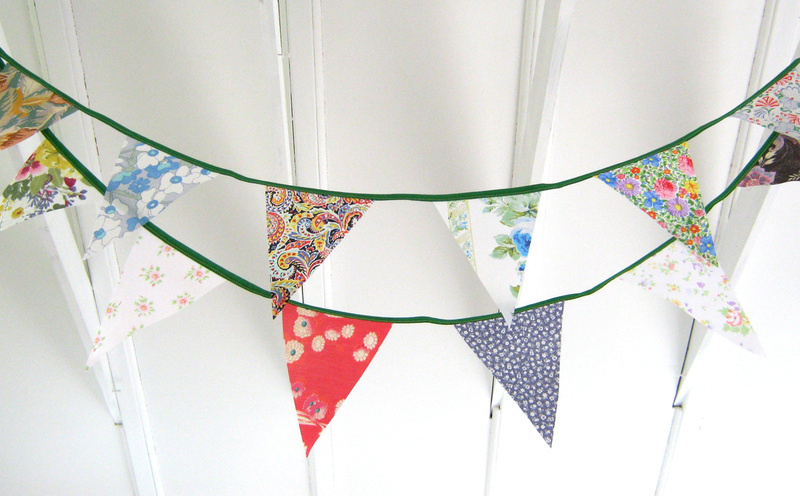 Eco friendly fabric bunting made from 100% reclaimed fabric sewn onto cotton tape. Eco friendly decorations made from a wide selection of colours, patterns and textures. 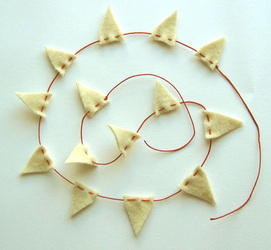 Different lengths made to order. Your bunting will arrive in eco-friendly / upcycled packaging. 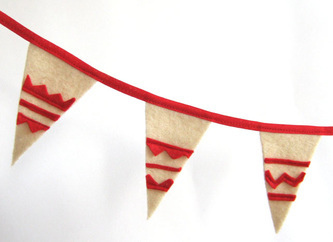 This folk inspired bunting has rustic charm and is made with hand-cut felt appliqued onto upcycled cream wool. 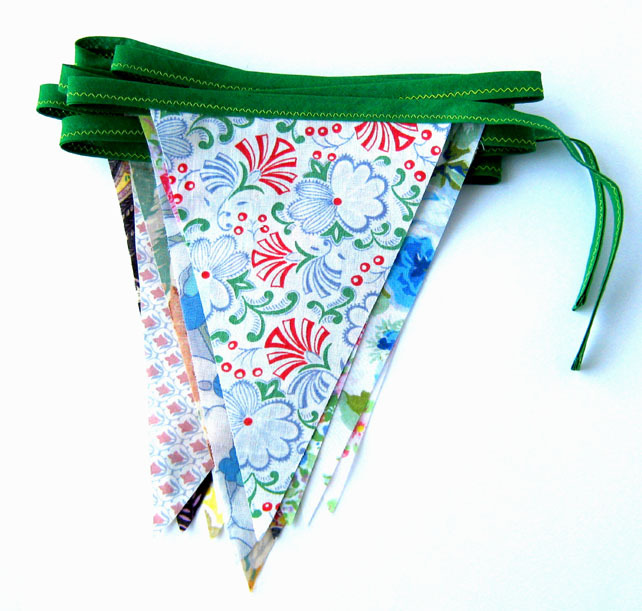 Hungarian inspired design with a rustic charm. Perfect for the winter holidays and everyday decoration. The pennants are sewn onto cotton tape with felt tie ends. 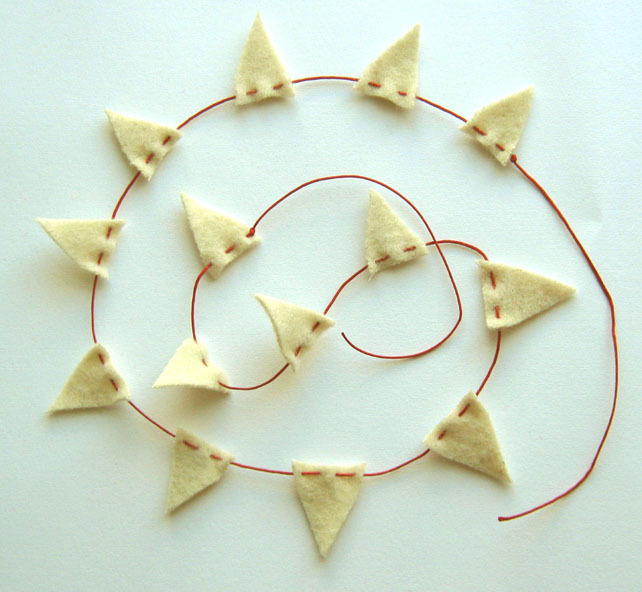 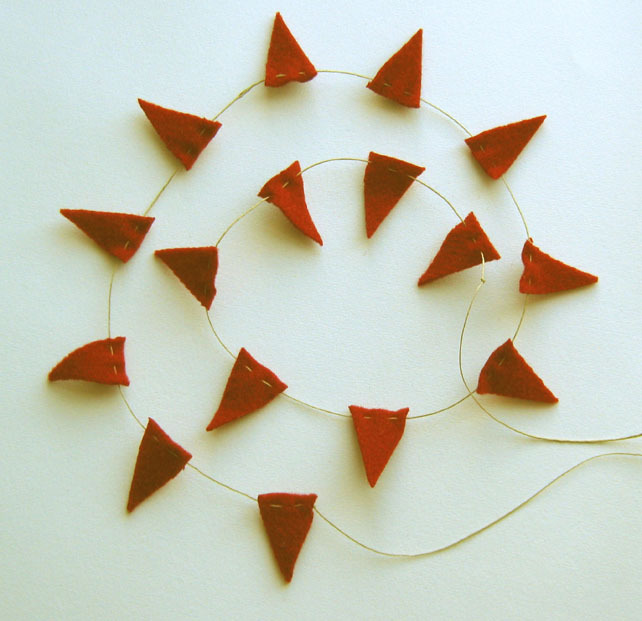 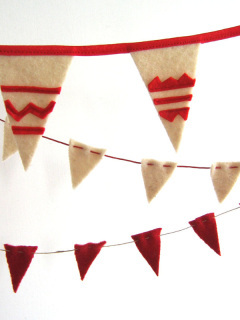 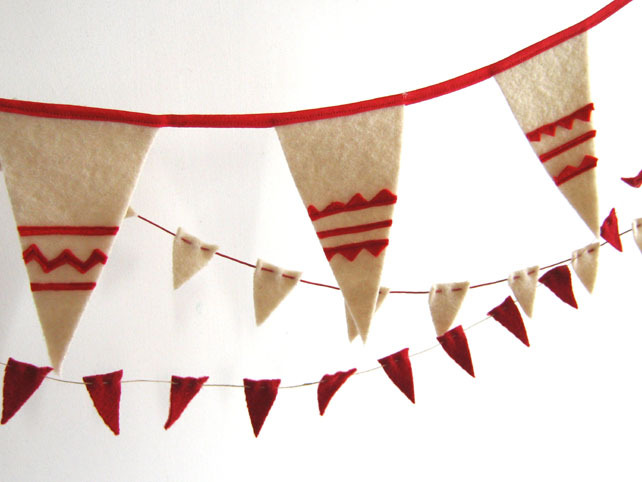 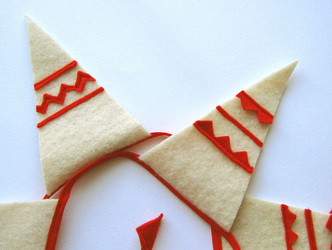 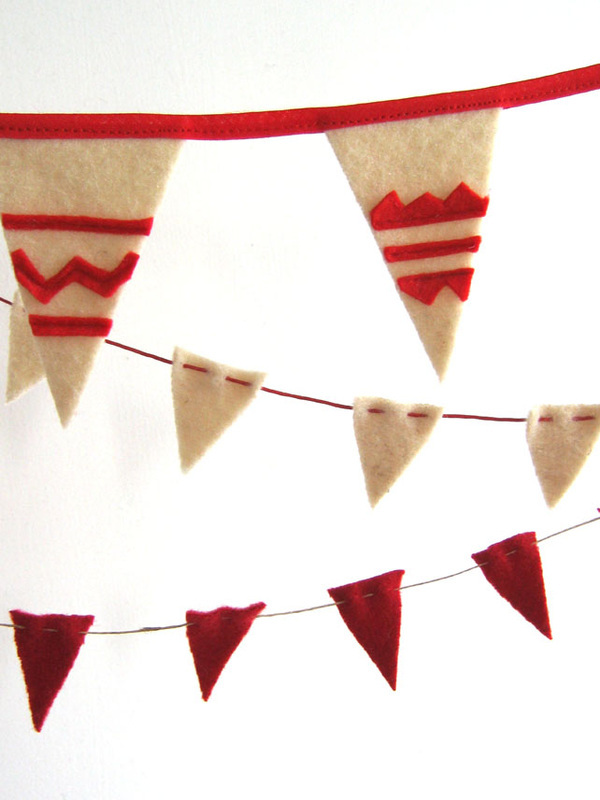 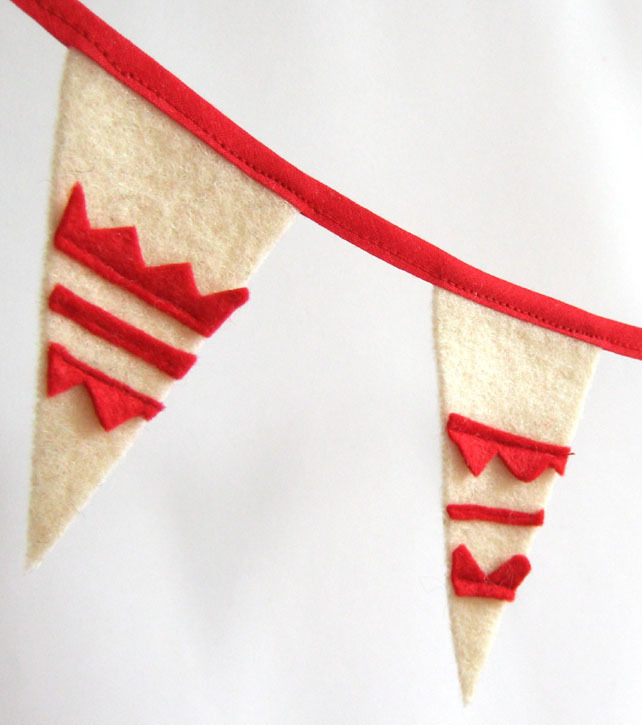 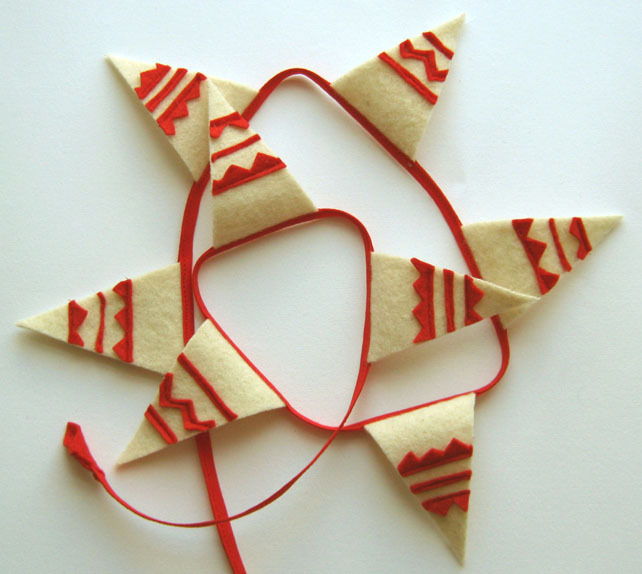 The mini Cream wool bunting is threaded onto waxed cotton cord and tiny Red wool bunting is threaded onto jute string. 'East' decorations are silk rich with metallics for added sparkle. 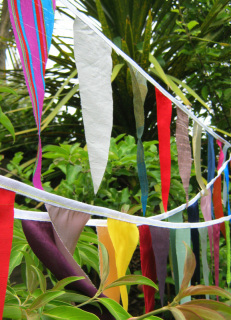 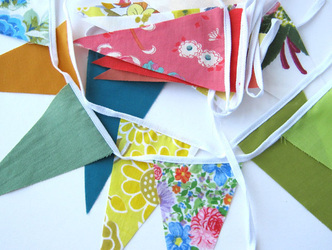 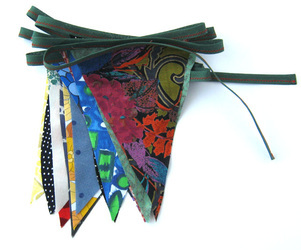 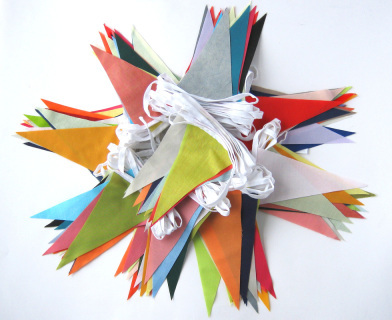 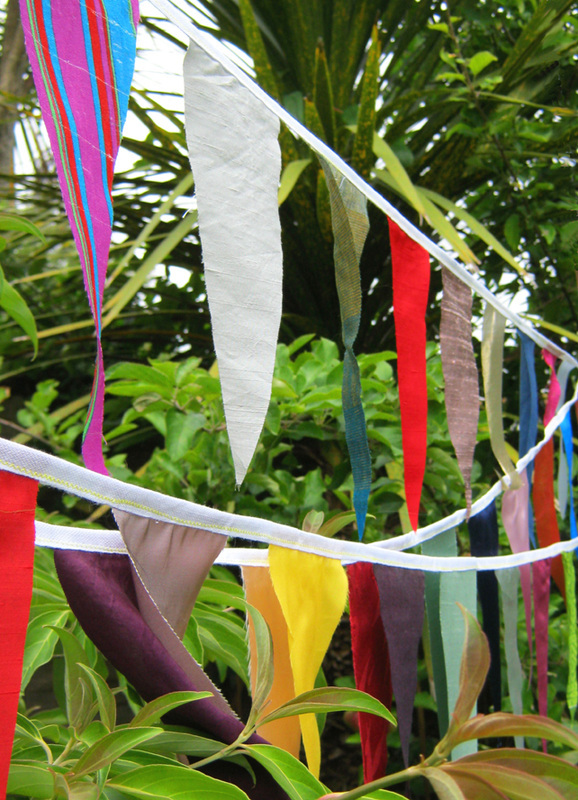 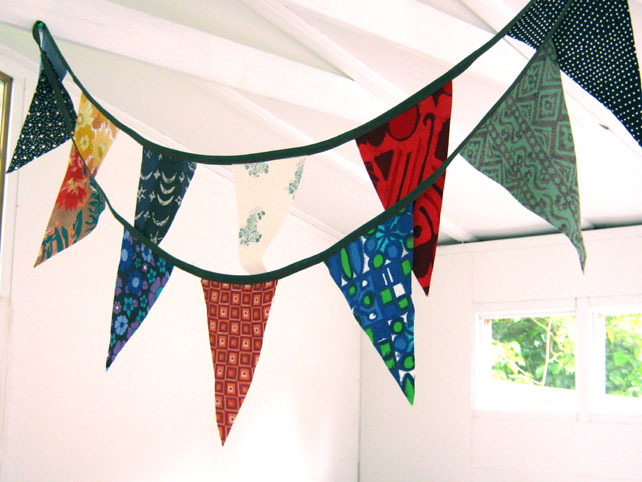 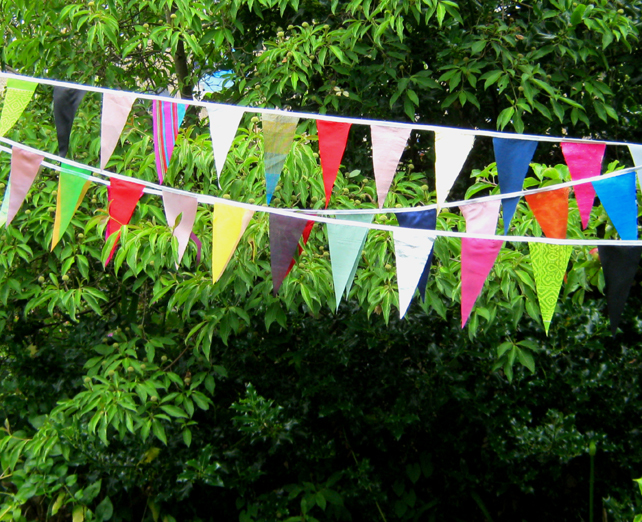 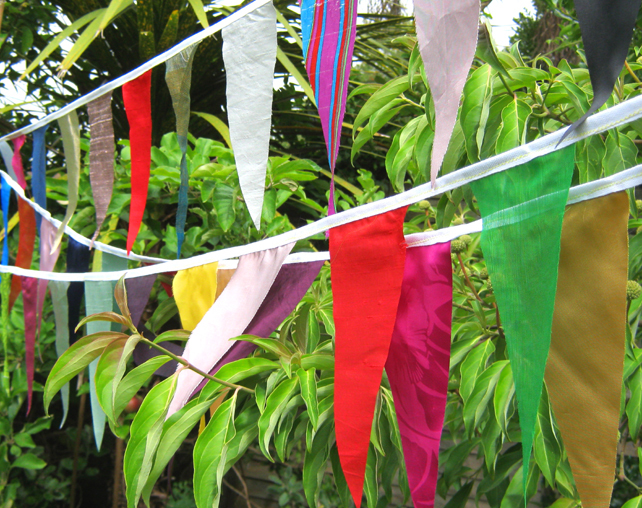 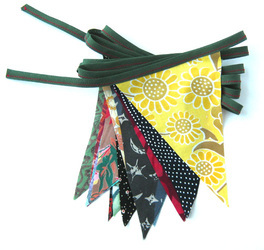 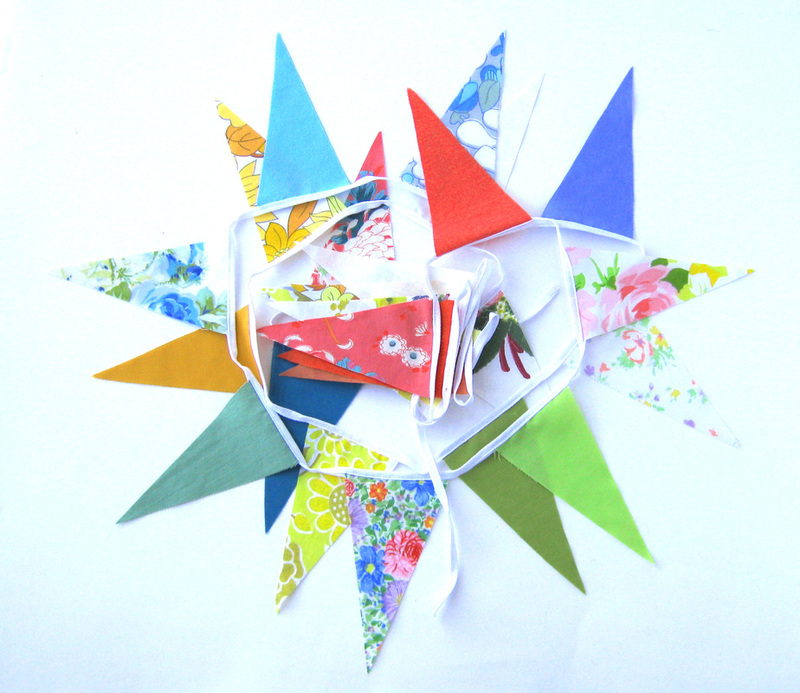 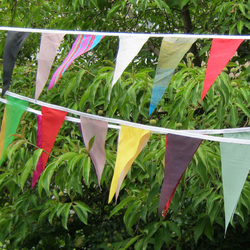 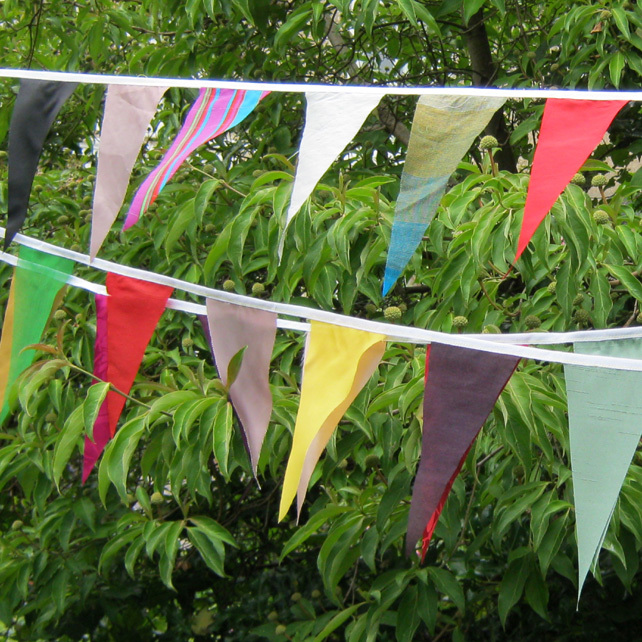 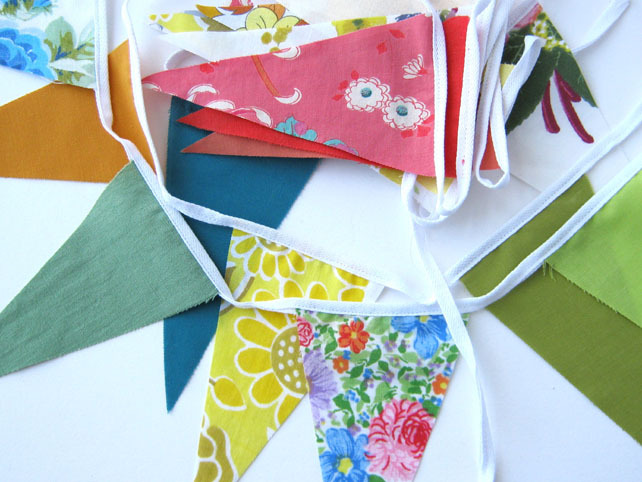 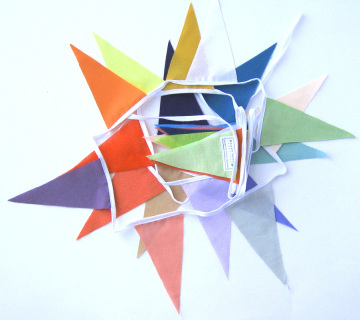 This world inspired bunting echoes the aesthetic of prayer flags from the eastern regions of the world. For the pilgrim soul & traveller alike. 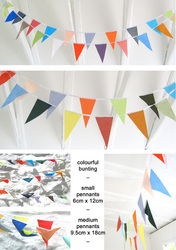 'Spectrum' decorations are cotton rich using over 40 different colours. 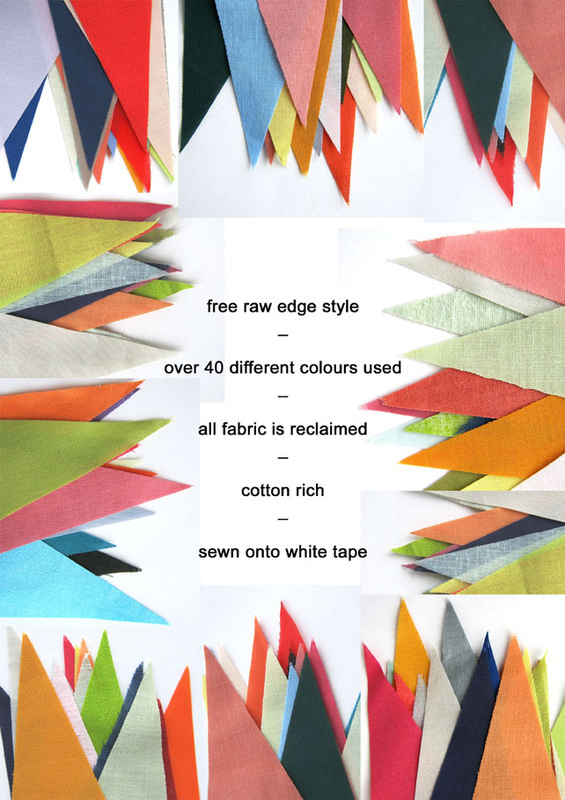 A combination of East & West in style with a wide range of colours from very subtle tones to saturated, vivid hues - a rich artists palette. 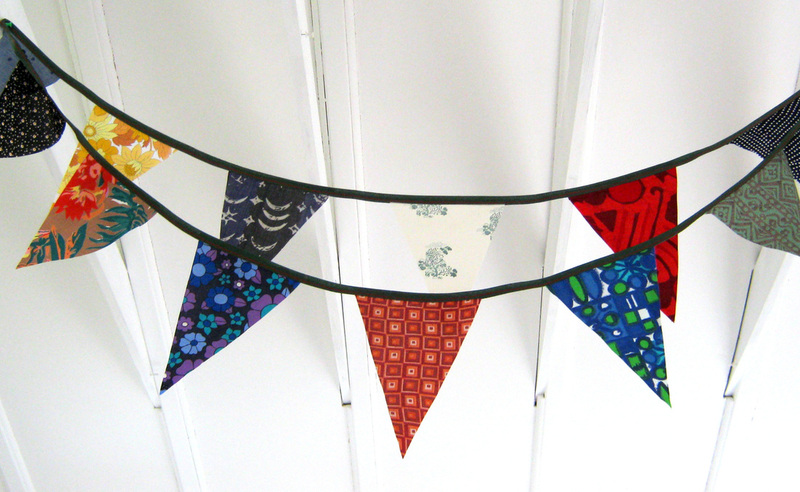 'Albion' range are chosen from a mix of patterned fabrics including beach hut stripes, florals & vintage 1930s, 1970s fabrics. 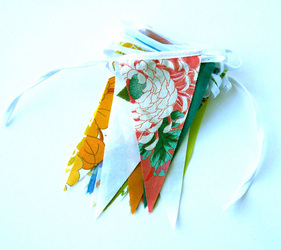 More traditional styles with an emphasis on nostalgia and happy memories. 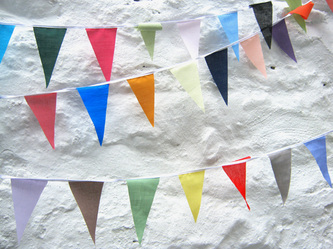 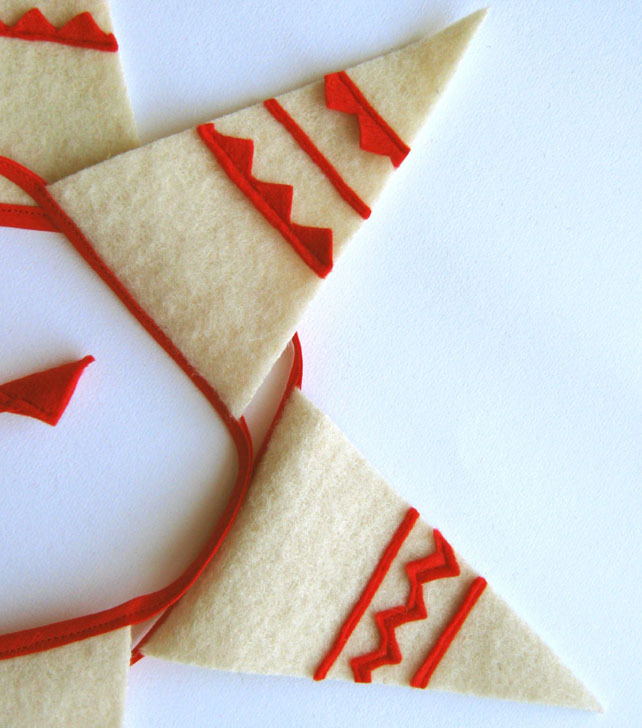 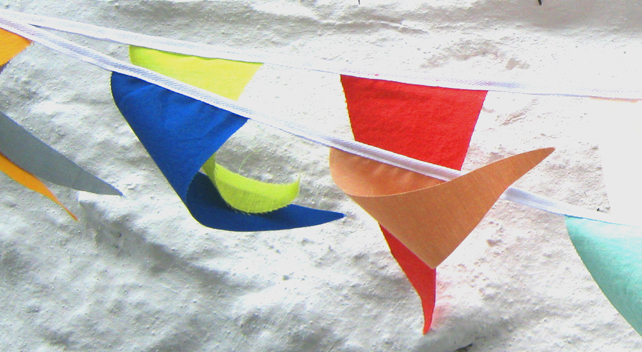 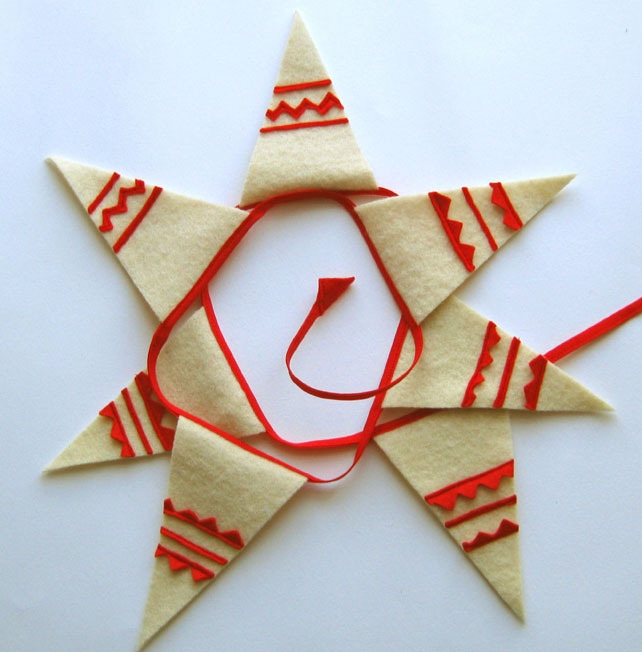 Folk inspired cut felt bunting for holidays and everyday. 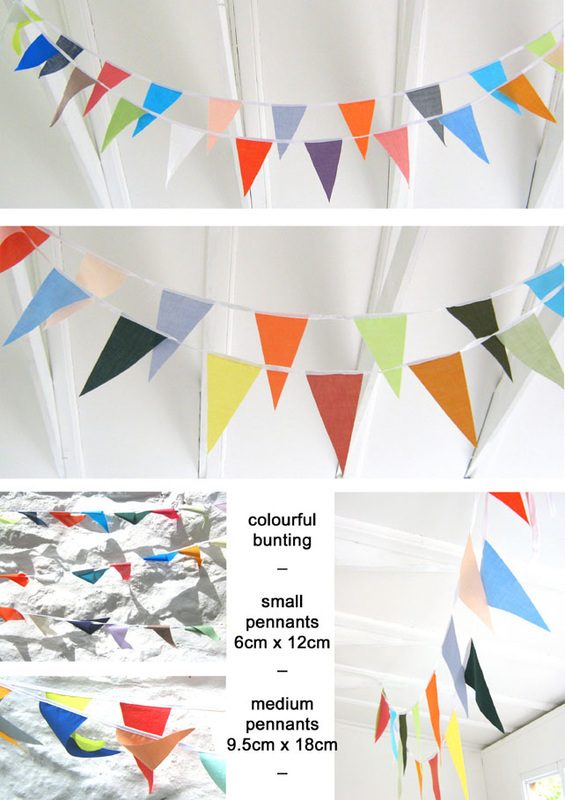 Three strands of Folk inspired bunting for holidays and everyday.